During cancer treatment, it is more important than ever to take good care of your skin. This can aid healing…. Surviving Beautifully was founded by a breast cancer survivor to provide expert answers for women with beauty and body issues during cancer treatment. Our aim is to give sophsticated, up-to-the-minute, compassionate and empowering advice from medical doctors and other experts. Our team includes renowned oncologists, radiologists, general and plastic surgeons, oncology nurses, complementary and complementary medicine practitioners, aestheticians, hair stylists, makeup artists, fitness experts, counselors, dermatologists, dentists, nutritionists and celebrity survivors. We provide advice on skin care, hair care, dental care, breast reconstruction, hair loss (alopecia), eyelash and eyebrow loss, nail issues, makeup application, physical fitness, nutrition, and wellness. We provide the information you need to survive your way. Every day. Illness and cancer are words people do not typically associate with beauty. Surviving Beautifully is a comprehensive guide to solutions for cancer-related beauty issues such as skin care, surgical outcomes, dental or style. 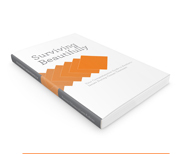 Surviving Beautifully contains sophisticated, up-to-the-minute information from renowned medical and aesthetic experts in all areas, including plastic surgeons, dermatologists, dentists, hair and lifestyle experts, and survivors themselves. This book is a comprehensive reference guide to let you know what to expect and how best to proceed. It addresses both the most basic and the most complex beauty and body issues during cancer treatment. It will also help you when your treatments are over. The stress of fighting can damage skin, nails, and hair, but both at-home cures and sophisticated doctor’s-office-only techniques can bring out the most beautiful you. Surviving Beautifully is a tool to help you take a proactive approach to your healing, both physically and in your soul. We provides answers for women with beauty and body issues during cancer treatment by offering compassionate, empowering advice from our experts in many fields. Our amazing experts are here to help you with any beauty issues you may experience during cancer treatment from chemotherapy, and radiation or other cancer therapies. 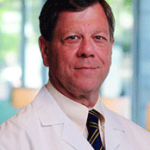 Board Certified Plastic and Reconstructive Surgeon Tarrytown, NY. USA.